Why do Sewage Backups Happen to Good People? 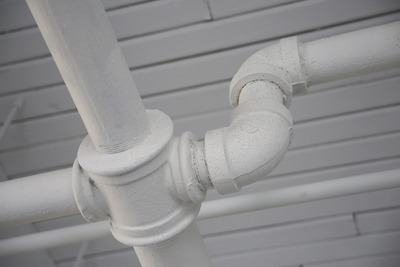 No one wants to deal with a broken pipe in their home or the back up of a very old sewage line. But, when waste is involved, the situation is dire. Sewage coming from toilets and broken pipes, city sewers and/or private septic systems or wastewater not only wrecks havoc on the home but it brings with it unsanitary and unhealthy conditions. Sewage backups can be particularly worrisome for people with compromised immune systems or respiratory problems. Wastewater is full of harmful bacteria, fungi, viruses and parasites. Some of these sewage bacteria can cause short-term health issues such as diarrhea, fever, cramps, and sometimes vomiting, headache, weakness and loss of appetite. But, some sewage bacteria and viruses can cause acute and long-term illness and disease. Why do sewage backups happen? Usually the cause of sewage backup is too much waste or a foreign object interrupting the routine flow of the sewage disposal. If you have a septic system, your septic tank can only hold a certain amount of waste. While the amount varies depending on the tank, there’s one thing that you can be sure of—if there’s no room at the usual inn, the sewage will back up right into yours. Even if your home is connected to a public sewer system, a sewer backup can occur if there is a clog on the main sewer line. This is the line that carries all of your waste from your house to the public sewer system, and if it gets clogged, the waste will back up inside your house. Why do clogs occur? Someone may have flushed something that they shouldn’t have (but likely won’t admit to)—like paper towels or feminine hygiene products. Or, the sewage pipes that are buried under the ground in your front (or backyard) may be competing for space with tree roots that can grow right through the pipes and cause a blockage. Call a certified specialist. Only the most highly trained professionals should attempt sewage remediation work. These specialists will take the necessary precautions to make certain that the “standard of care” is adhered to and ensure that contaminants do not become airborne. Contain the contaminated area. Vacate the home unless the contaminated area can be completely sealed off and placed under controlled air flow so that there will be no cross contamination of unaffected areas. Discuss this with the sewage remediation contractor. In addition to a timely response to a sewage issue, it is essential that the situation is accurately categorized by the water’s contamination level. The Institute of Inspection, Cleaning and Restoration Certification (IICRC) classifies water sources as sanitary and unsanitary. By categorizing the level of water contamination in a damaged structure, the loss assessment and evaluation activities can begin. The category of water contamination must be considered so that procedures can be established for processing water-damaged structures and materials safely. Again, a certified remediation company will take care of this. Successful clean-up of sewage-damaged homes and personal property requires that restoration professionals adhere to the IICRC standards, which assures all parties of thorough, cost-effective and prompt restoration services. Remove any property that is made of highly absorbent sewage-saturated materials, such as carpet, padding, upholstery, bedding, paper or fabrics that can’t be washed in hot water (130°F/54°C) for at least 10 minutes. This includes sewage-saturated drywall, insulation and other structural materials too. It’s not worth keeping; the health risk is too great if any of these materials are dried in position and cleaned only. Hire an indoor environmental professional who will inspect the situation and establish a protocol for post-remediation verification to ensure that your home is safe. Yes, sewage backups do happen to good people. But, when you call AOA Cleaning and Restoration, the situation can be swiftly and effectively remediated. We help residential customers throughout northern New Jersey address water damage and sewage issues successfully. AOA is also experts in dealing with mold remediation. Contact us at (201) 848-8600 or info@aoacleaningandrestoration.com.We can handle the situation from cleanup through complete restoration. This entry was posted in Homeowner Information, Water Damage and tagged Damage Restoration, disaster recovery, Disaster Restoration, professional cleaning service, Property Damage, restoration services, Water Damage, Water Damage Repair, water damage restoration, water remediation, water removal. Bookmark the permalink.